J.L.M. Campuzano (Spanish Banking Association) | The central banks really need some new arguments for extending their current expansionary monetary policy. As well as for not withdrawing some of the existing measures. The alternative is to get carried away. And that means in some cases repeating what has been done up to now: responding to market demands with new expansionary moves, confusing on too many occasions desired financial stability with higher financial asset prices. But is it really the same thing? Brexit has in fact provided a partial answer to this question. The market’s initial reaction was very negative, with sharp declines in the price of risky assets (equities…but why not debt?). A huge drop in liquidity. And that was very ironic because it translated into turbulence in the price of financial assets in a world characterised by an excess of liquidity. The central banks promised (or threatened) new expansionary measures, beginning with the BOE. And yet later, at least in principle, they have not been needed. So how should we interpret this? That’s what liquidity is. And it was an irrational panic. But that said: can the central banks really combat a scenario of political risk with more liquidity? Can the central banks’ measures counter the structural problems many economies have? Don’t think I don’t value the importance of the exceptional monetary measures available up to now. But what I am really starting to question is that these measures become the norm. And that the central banks are always prepared to extend them when necessary. And indeed it usally is necessary if the financial conditions in the markets deteriorate. What if asset prices suffer. The continued drop in the interest rates on debt “is obliging” the central banks to keep short-term rates low. In the end, market rates determine the official rates. To my mind, long-term interest rates are fixed by the market and the official rates are determined by the central bank. I also believe that, in such an extreme scenario as the current one, transparency in central banks’ communication takes second place. And that is precisely what should have happened in the case of the BOE meeting last week. And in that of the BOC on Friday. In short, the feeling that monetary policy is not at the service of the market. And if this is explained well, there is no reason for the market’s reaction to be negative. This is what has happened in the last few days in the UK. But investors believe that the decision to cut UK interest rates again has only really been postponed. 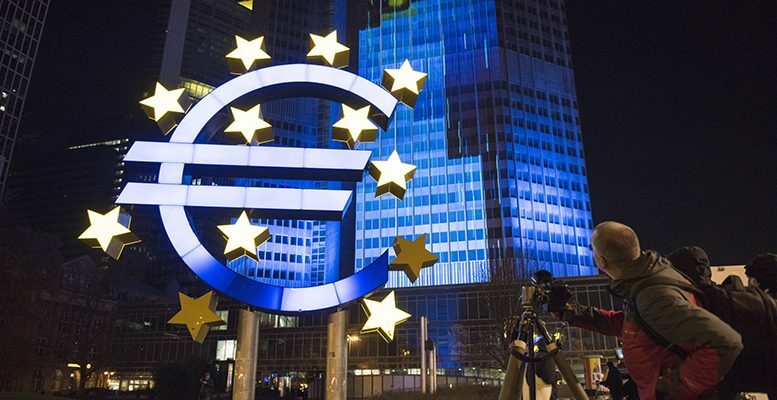 They also believe that it is only a matter of time before the ECB cuts the deposit rate again at the same time as it extends the deadline for asset purchases which is initially set for March 2017.